Video games are serious (and romantic) business in a new trailer for Hi Score Girl EXTRA STAGE, a three-part original animation video series that continues the story of the arcade-obsessed Nineties kids of Hi Score Girl. Hit the jump to check it out. 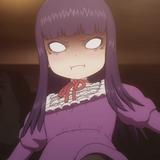 Hi Score Girl EXTRA STAGE, a three episode original animation video continuation of the 2018 TV anime Hi Score Girl, will be released in Japan in March of 2019, and now a new key visual and new cast members have been revealed for the OAV. Hit the jump to CONTINUE?. 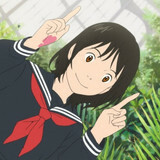 Mirai, the latest animated theatrical film from director Mamoru Hosoda and Studio Chizu, has been nominated in the category of "Best Animated Film" for the 76th Golden Globe Awards, a prestigious industry event that recognizes excellence in film and television art. Hit the jump to learn more. 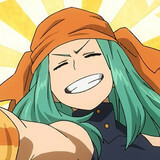 The latest ending theme for Season 3 of My Hero Academia, "Long Hope Philia" by Masaki Suda, was released today as a single in Japan, and to celebrate the release the official TOHO Animation Channel on Youtube has published a non-credit version of the ending animation. Hit the jump to check it out. 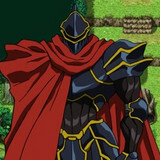 Dark fantasy TV anime Overlord is teaming up with role-playing game development software RPG Maker MV in an inspired collaboration that allows players to step into the shoes of Ainz Ooal Gown (in his Dark Warrior Momon persona) in an old-school style JRPG. Hit the jump to learn more. 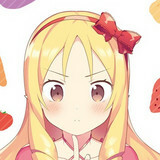 "Eromanga Sensei Yamada Elf Dai-sensei no Koisuru Jushin Gohan" debuts in September issue of "Dengeki Daioh"
Good news for fans of light novel author Elf Yamada from Eromanga Sensei: the fan-favorite supporting character is taking the leading role in a new spin-off manga entitled Eromanga Sensei Yamada Elf Dai-sensei no Koisuru Jushin Gohan ("Eromanga Sensei The Great Teacher Elf Yamada's Cooked Meals of Pure Love") which begins serialization in the September issue of ASCIII Media Works' Dengeki Daioh seinen manga magazine. Hit the jump to learn more. The Dream-Science Laboratory and Kadokawa are making learning fun with a book of essays entitled The Dream-Science Reader: If I Cast the Destruction Spell, I Too Will be Destroyed! that explores the science of fantastical pop culture such as anime, manga, and video games. Hit the jump to learn more. 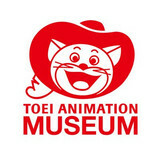 The Toei Animation Museum, a gallery dedicated to the works of Toei Animation, is opening to the public in Tokyo on July 28, 2018. Hit the jump to learn more. 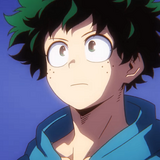 The "Pro Hero Provisional License Exam" arc is in full swing in My Hero Academia, the ongoing TV adaptation based on Kohei Horikoshi's shonen manga about a new generation young people training to become professional superheroes, and now seven new characters have joined the cast. Hit the jump to learn more. 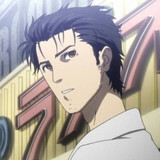 Steins;Gate 0 returns to Japanese TV for a second cour beginning with Episode 14 on July 18, 2018, and now a new key visual featuring the cast of the latest animated adaptation of the "Science Adventure" visual novel series has been published. Hit the jump to check it out. 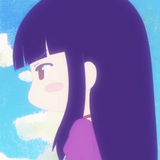 The U.S. premiere of Hi-Score Girl at Otakon 2018 is still a bit less than a month away, but fans of the upcoming adaptation of Rensuke Oshikiri's manga about early Nineties arcade culture can get a small taste of what's to come, because the ending animation for the series is now available online. Hit the jump to check it out. 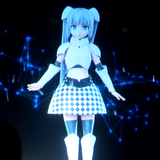 If you weren't able to catch Miss Monochrome in concert at Anime Expo 2018 on July 07, 2018, then have no fear, because for a limited time only the concert's sponsor SHOWMAKER has published a recording of the event, and you can catch an "encore" performance on Youtube. Hit the jump to check it out. 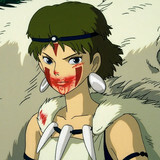 Hayao Miyazaki's brooding environmentalist fantasy film, Princess Mononoke, is returning to U.S. theaters this July for Studio Ghibli Fest 2018, a year-long series of screenings celebrating the visionary films of Studio Ghibli. Hit the jump to answer the call of the wild. 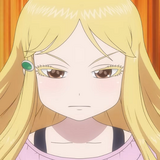 Video game rivalries escalate quickly in the new long-form trailer for Hi Score Girl, an upcoming TV anime about a middle school boy who is good at video games and the friends (and enemies) that he makes in his adventures at the local video arcade. Hit the jump to learn more. 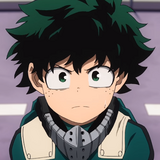 The second cour of the third season of My Hero Academia, an ongoing TV anime based on the shonen manga by Kohei Horikoshi about an elite class of young people training to be the next generation of superheroes, begins broadcasting in Japan on July 14, 2018, and now an exciting new trailer highlights what's to come in the "Pro Hero Provisional License Exam" arc. 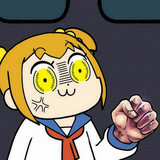 Hit the jump to Go Beyond, Plus Ultra!